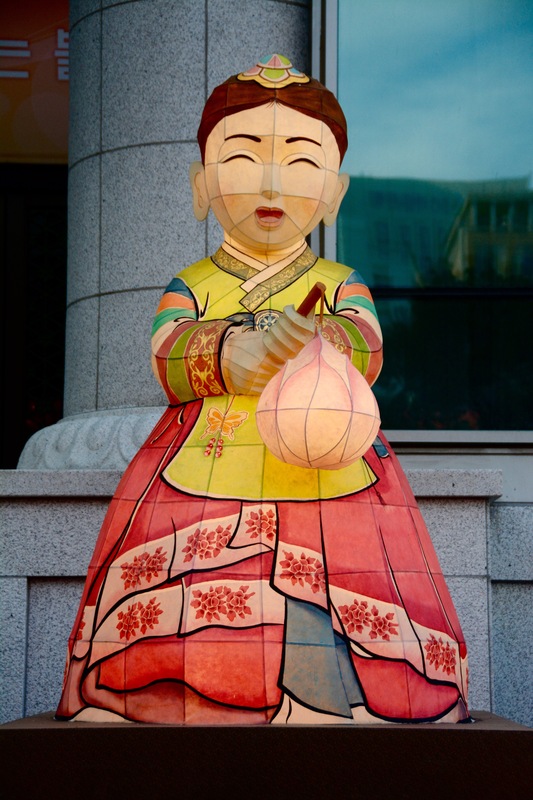 Lantern Festival – A Celebration of Buddha’s Birthday! 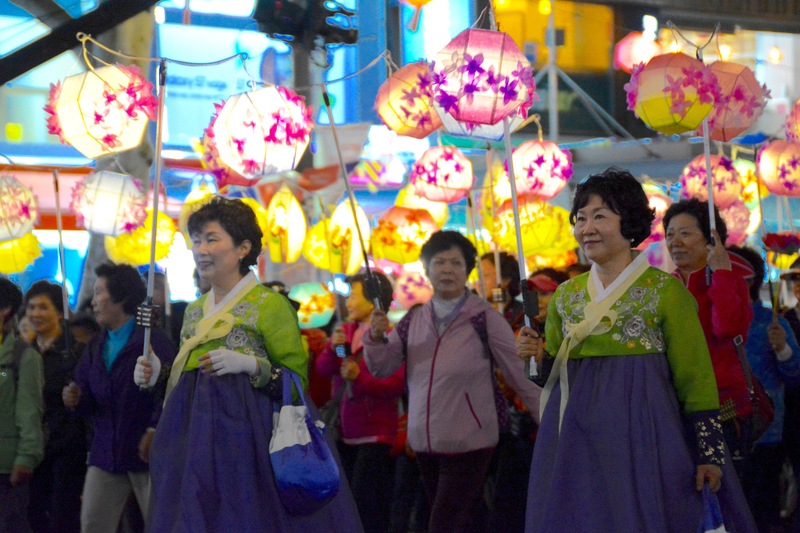 Starting the end of April, you will start to notice lanterns lining the streets of Jonggak/Jongno and down by Cheonggyecheon. This is your first indication that Buddha’s Birthday and the Lantern Festival is coming up. 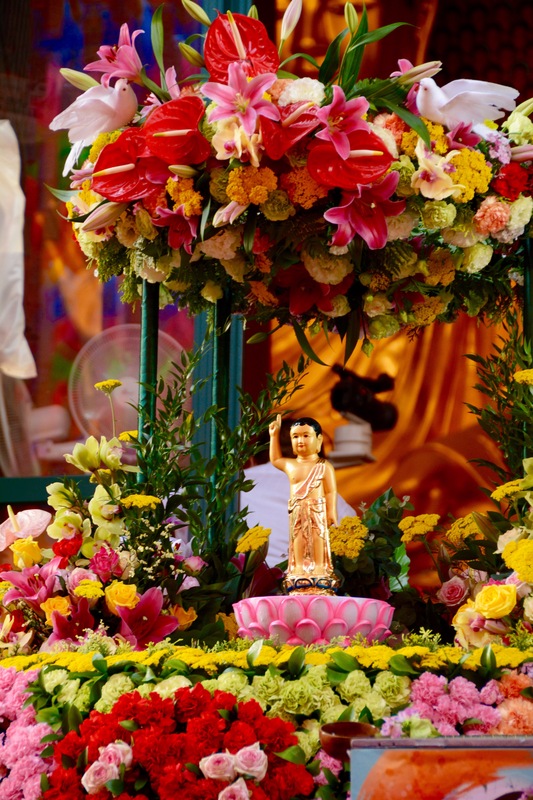 Buddha’s Birthday is the 8th day of the 4th lunar month. 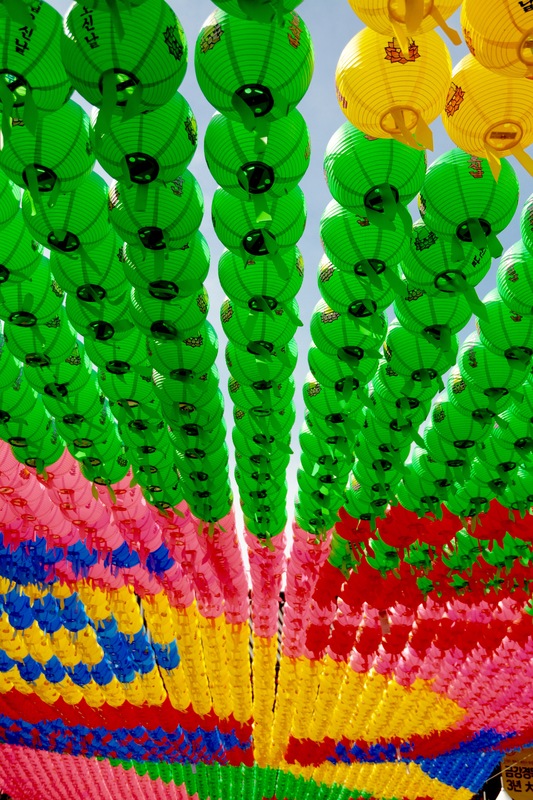 Temples all around Korea light lanterns to transfer the wisdom and compassion of Buddha to all. 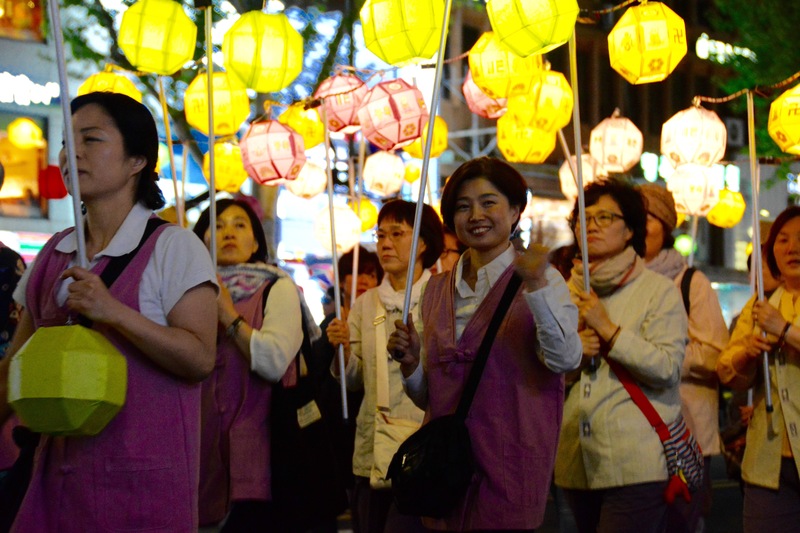 The Lantern Festival this year was held May 6 – May 8, 2016. 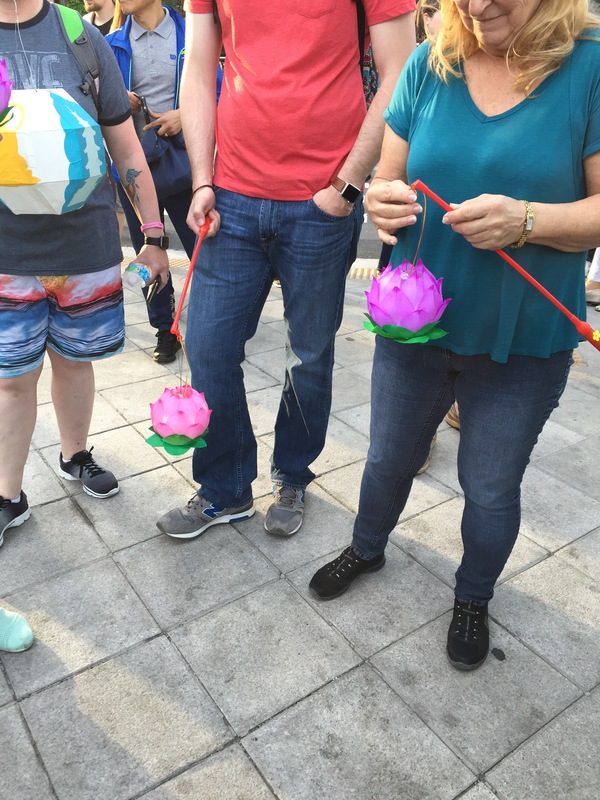 We saw the lanterns around town last year, but didn’t actually get a chance to join in on the festival, so this year I was determined to make it! 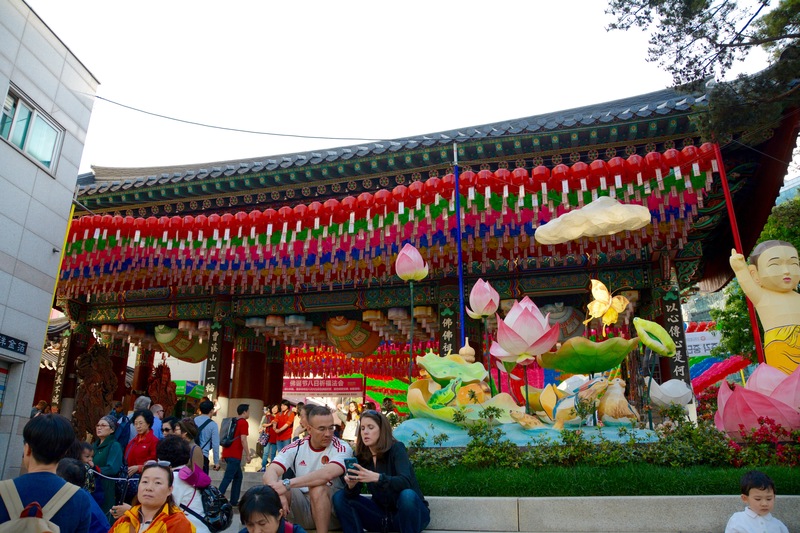 Our first stop during the Lantern festival was Bonguensa Temple in Gangnam. 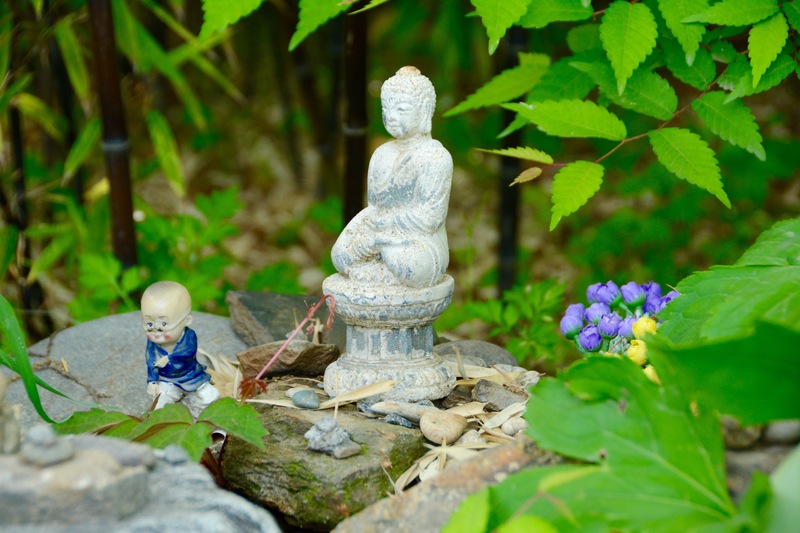 This is a lovely temple that has extensive grounds and is visited by many locals. As you can see thousands of lanterns adorned the temple. 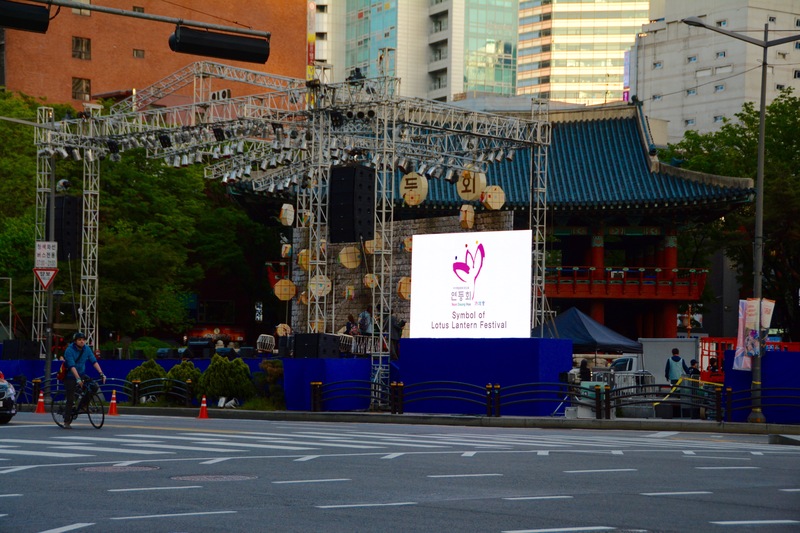 Then we headed across the river to Jogyesa Temple (which is nearby Insadong). Jogyesa compared to Bonguensa is much much smaller. 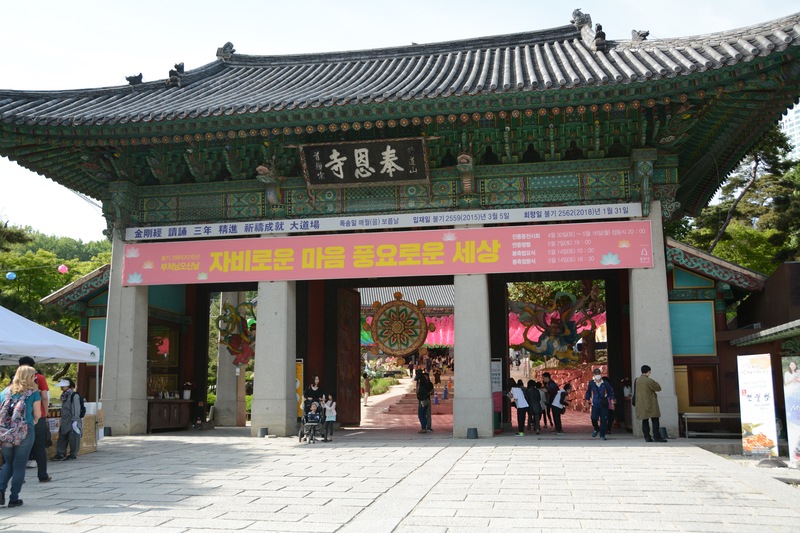 But it is centrally located in a bustling part of the city and a popular site seeing spot for tourists who visit Seoul. 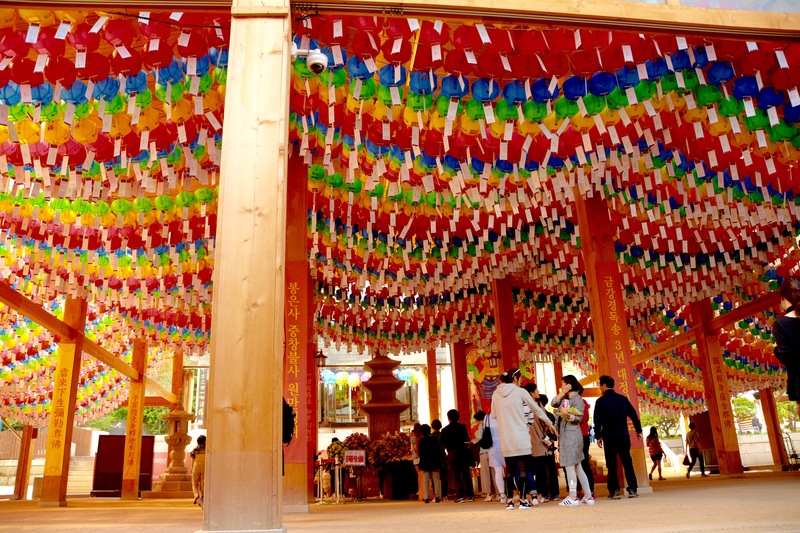 Visiting the temples is a fun and interesting thing to do no matter what day you decide to visit, but during festival times the decorations are very beautiful. 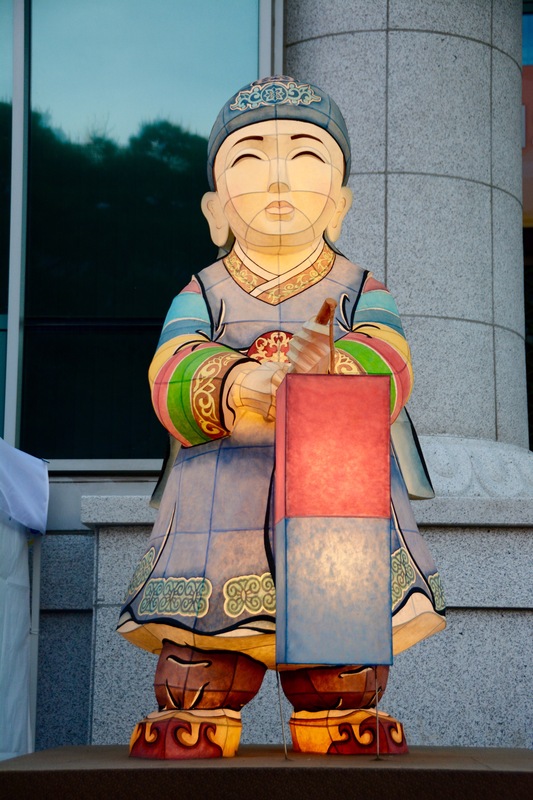 Jogyesa temple is where the majority of the lantern festivities were being held in Seoul. The paper lanterns that are in this photo (to the left) were ones given away by the temple. You were able to join in the parade if you came in early enough and registered. The small lotus looking ones we purchased from vendors near the temple. You can see how many people are in the Jonggak area ready to attend the parade. They even put up a stage for the Post Parade Party. 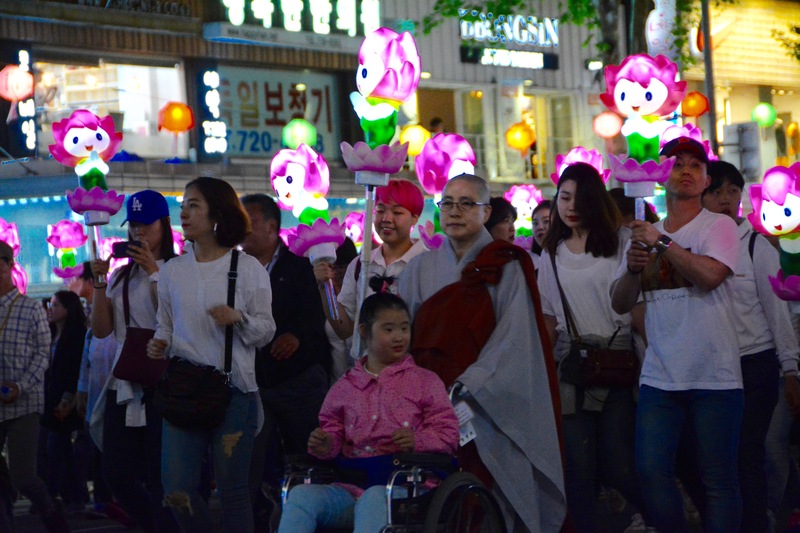 The parade was slotted to start at 7:00 PM at the Dongdaemun Gate and then the participants would walk along Jongno-ro to arrive at Jogyesa Temple. 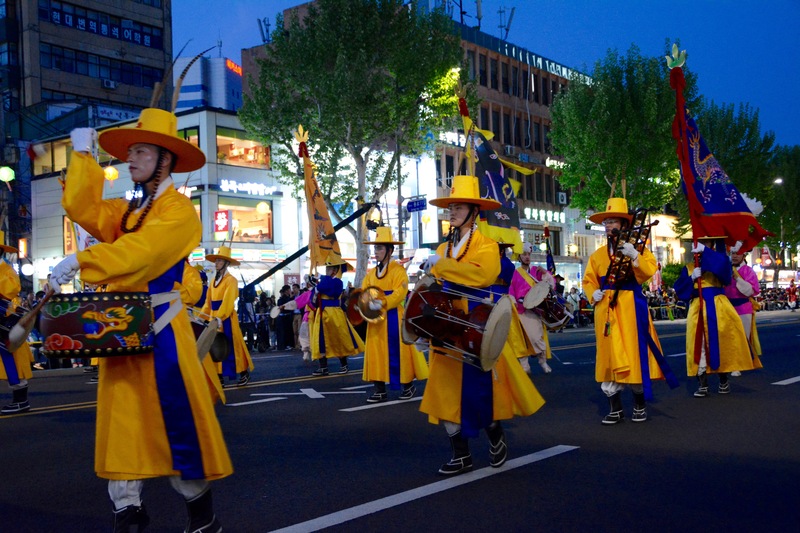 The parade route is easily accessible via Subway Lines 1, 3, 5 at Jongno 3-ga Station / Line 1 Jonggak Station or Jongno 5-ga Station. We sat near the Jonggak Station and they had put seats out and then there was also standing room behind the seats. Here are some of my favorite photos from the night and scroll to the bottom to see a video of the parade! 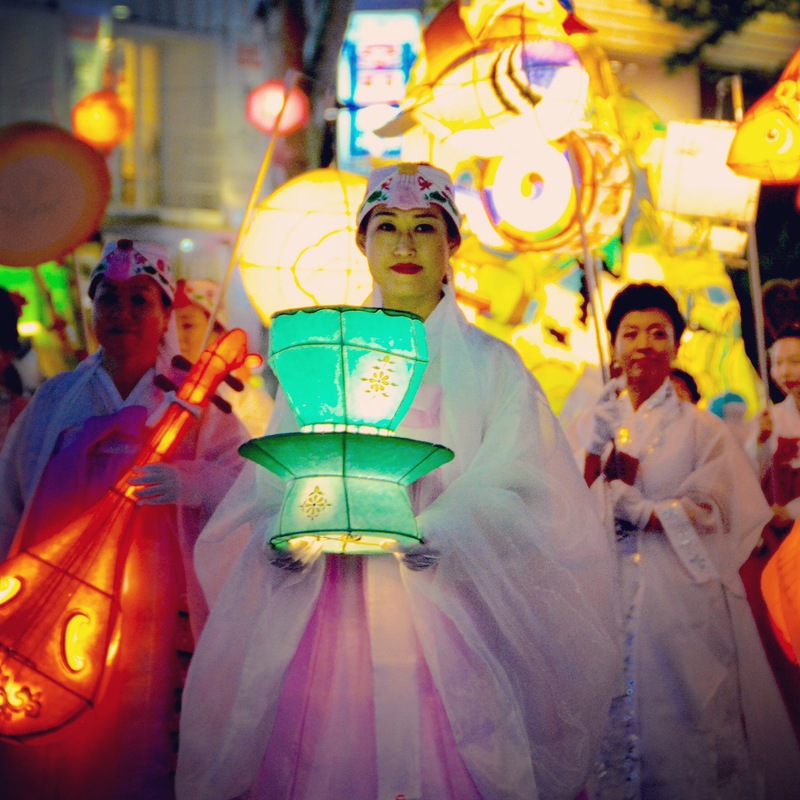 Don’t miss seeing the fire breathing dragon lantern! 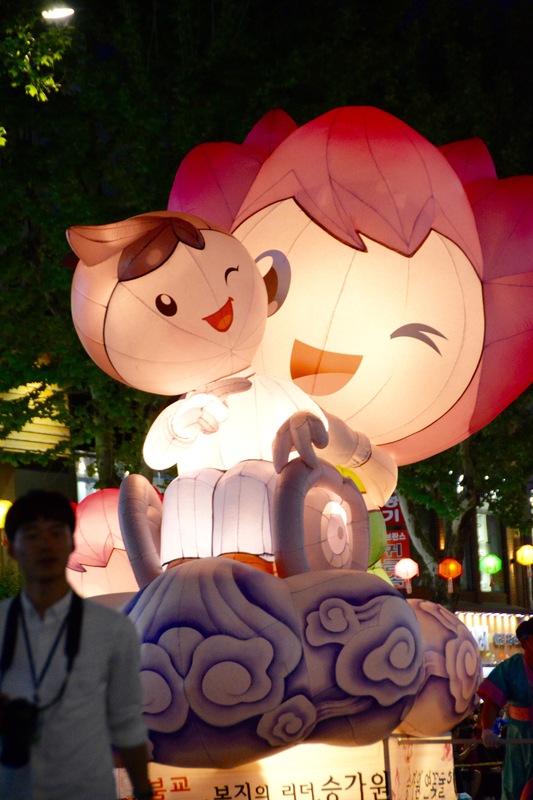 We were absolutely amazed by the number and variety of lanterns shown during the festival. 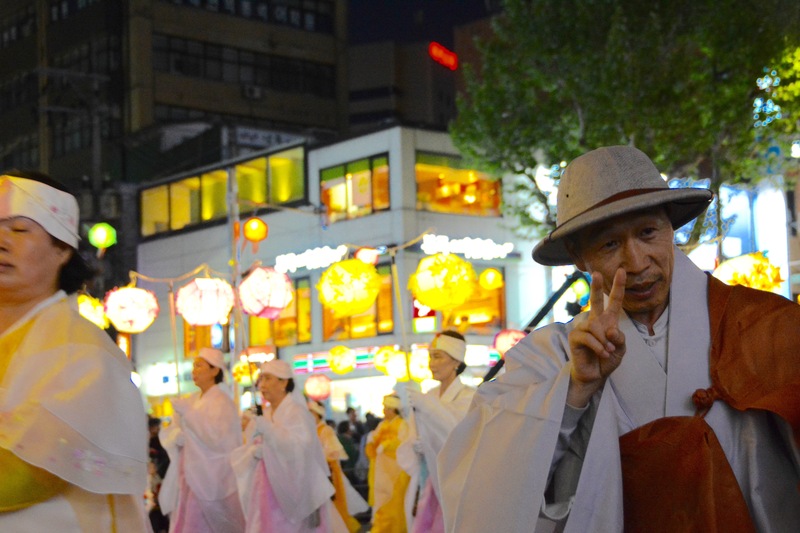 It was incredible watching the luminous lanterns passing by and all of the happy parade participants. You would also not believe how long the parade lasts, it was almost 2.5 hours long! 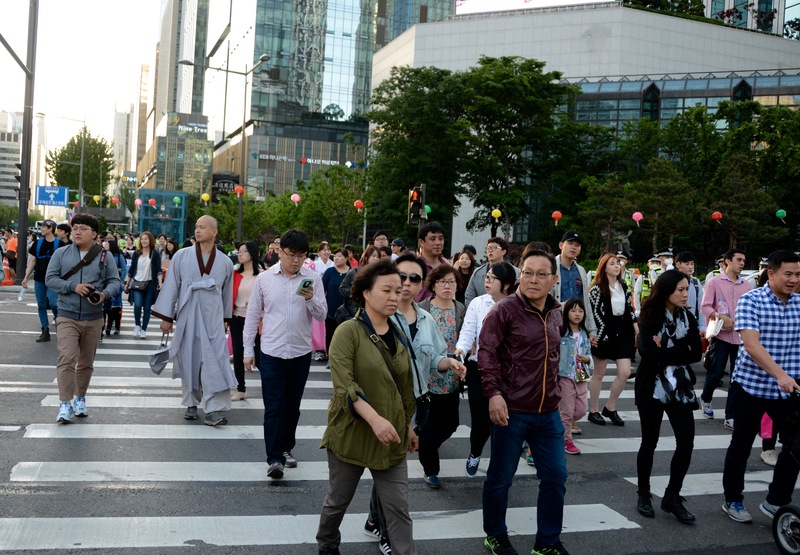 For a less crowded experience, go towards the Jongno 3-ga station. Jonggak is definitely the most crowded portion of the route. I honestly have never seen any parade like this. Although the parade is a very popular event, it didn’t feel that crowded because of the length of the parade route. I highly recommend attending the festival if you get a chance next year!